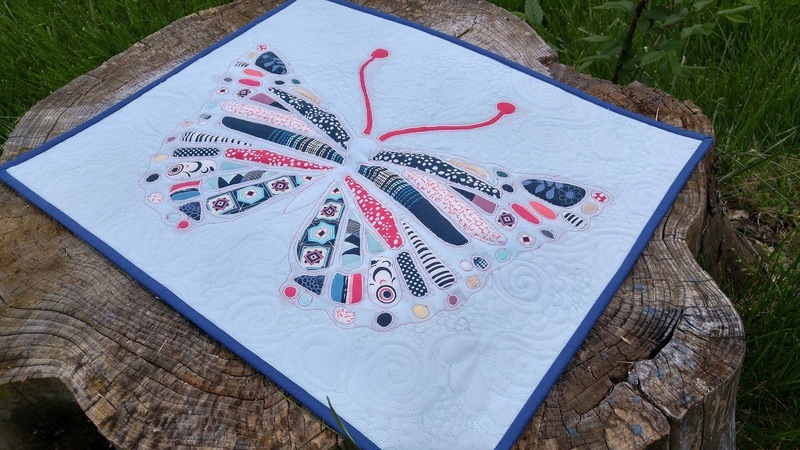 I made the butterfly quilt as part of a blog hop for Pat Bravo's Dare Fabrics. 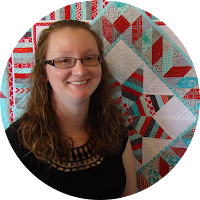 I love trying and learning new things, and this quilt helped me learn several things! 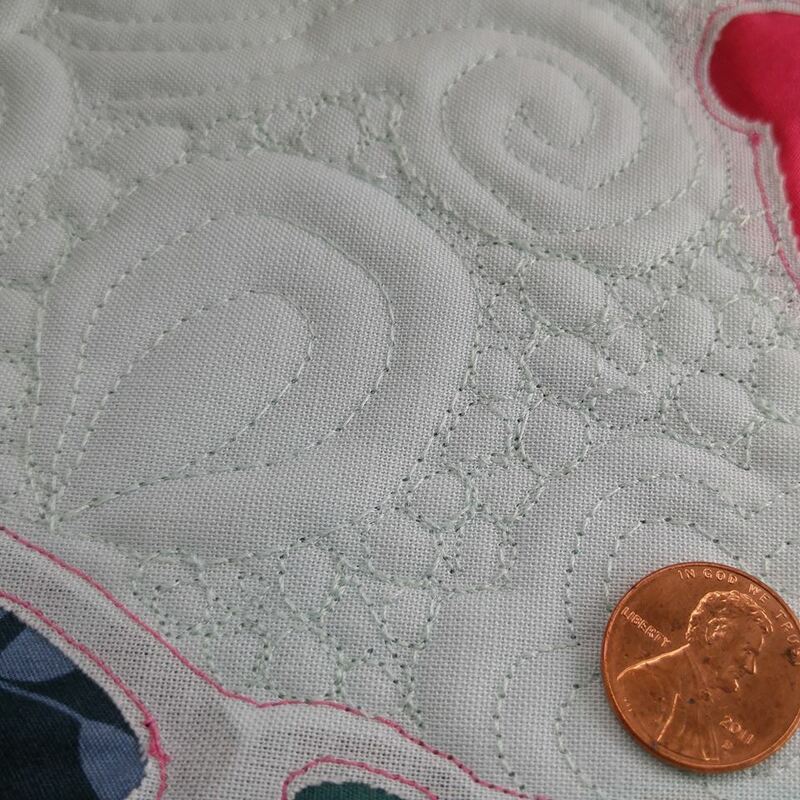 You can take a look behind the seams and read more about the quilt on my original post here. 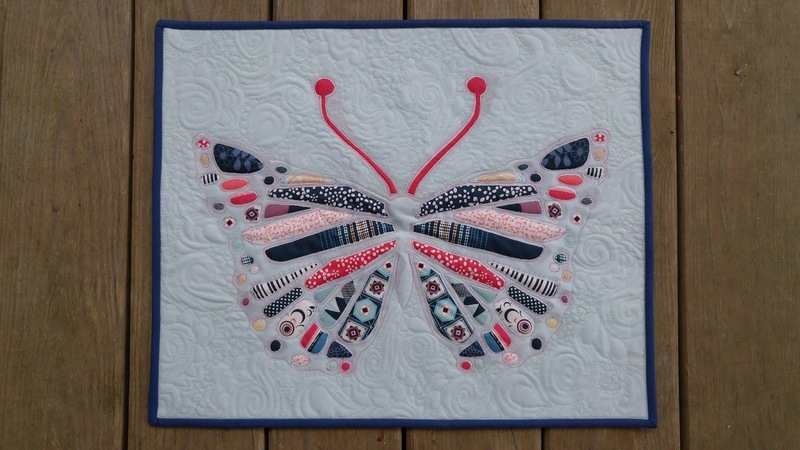 I used a reverse applique technique to create the butterfly. I sewed and quilted the entire quilt on my vintage Bernina 930 Record. 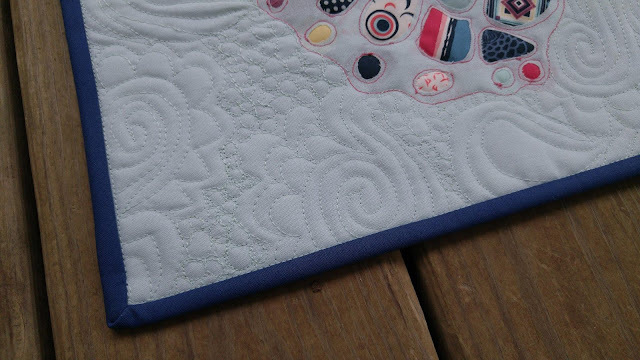 The quilt is 16" x 20". It is made with Pat Bravo's Dare and Essentials II Fabrics by Art Gallery Fabrics. You can see my first entry in the Festival here. Laura, your butterfly quilt is certainly a beauty! I am impressed with how the wings are mirror images of each other...I'll bet that was a challenge! 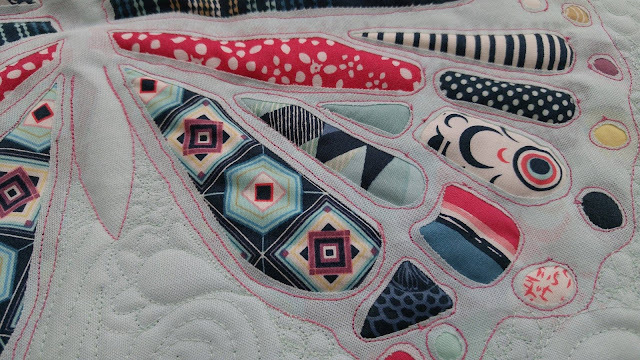 The colors, the quilting, the outline stitching are all perfect! I have not tried reverse applique yet, but now I want to try! 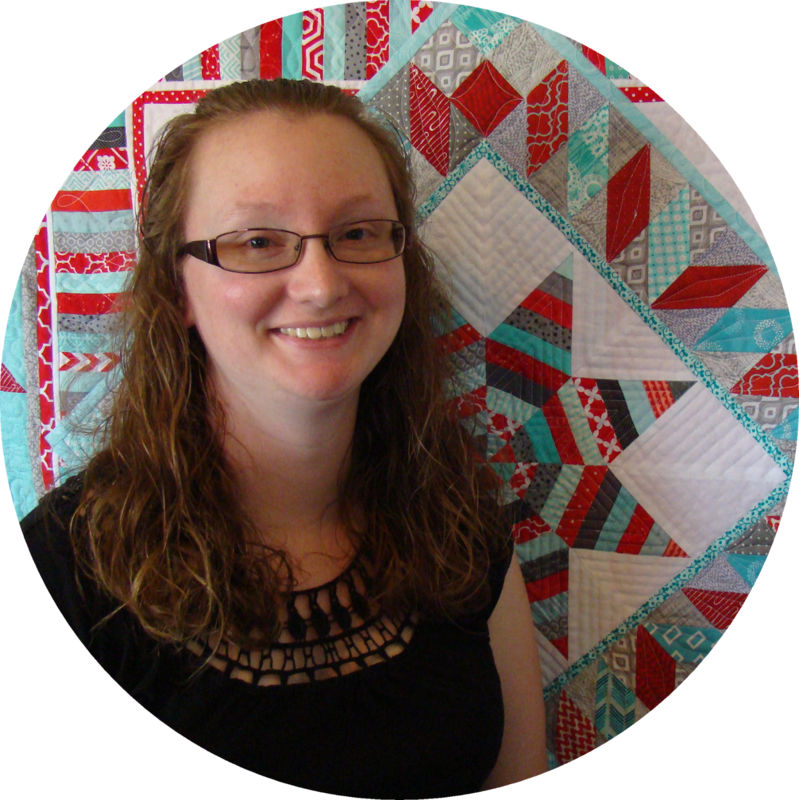 I am hoping to get a quilt entered into this festival too! Thank you, Kathy! I use reverse applique much more than any other type. Have you entered the BQF yet? I want to see your entry! 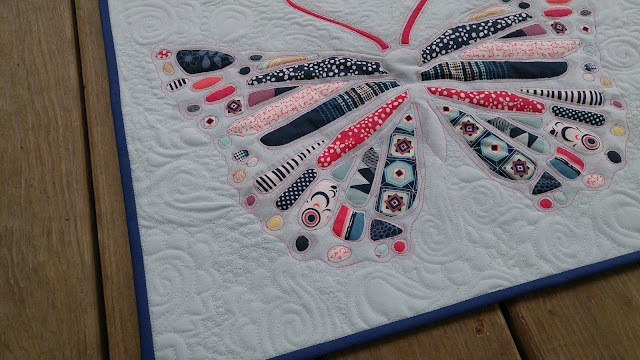 I love your butterfly mini quilt. 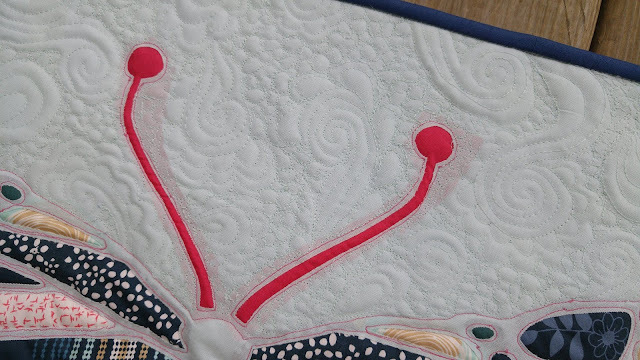 Great job on the applique and the quilting. Thank you! 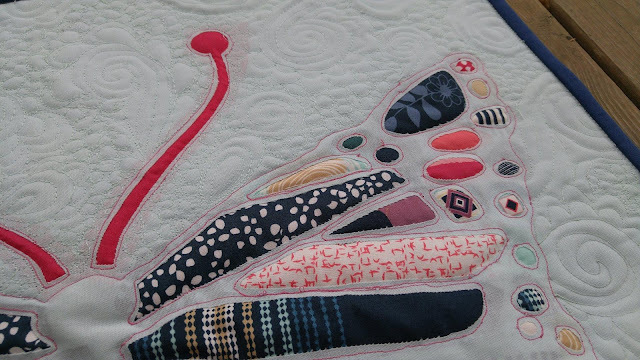 I always learn so much with each quilt I make! This is fabulous- I love the colors and the quilting! 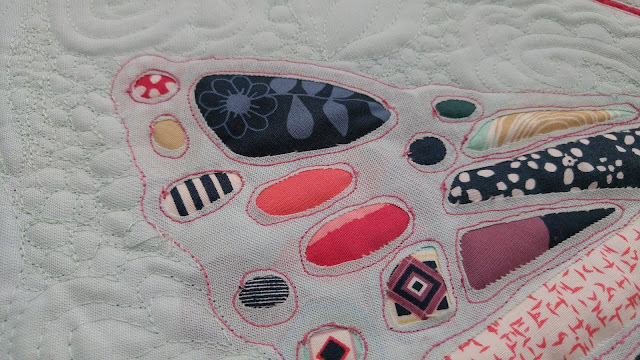 My own made up word for your quilt today... " Beautilicious" The photos, the close-ups, the fabrics and your pattern all add up to one wonderful entry. Beautiful! Your quilting is great!